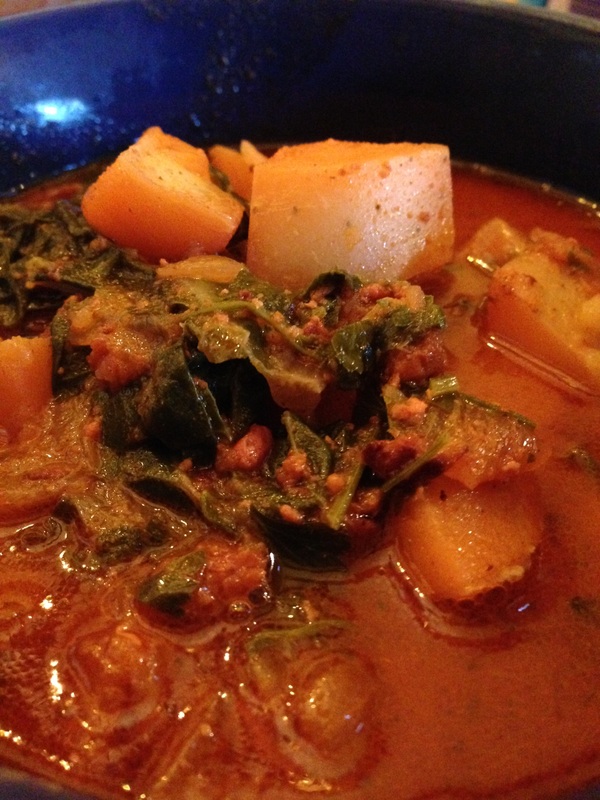 La Gringa Cooks, Chorizo, Chard and Potato Chowder – What's for dinner, Doc? 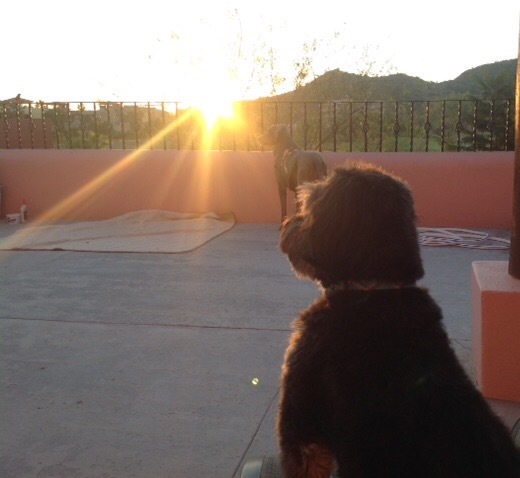 Just a couple of Baja beach dogs enjoying the sunset, Biscuit, my Lhasapoo and his best poodle friend Moxy Mayham. 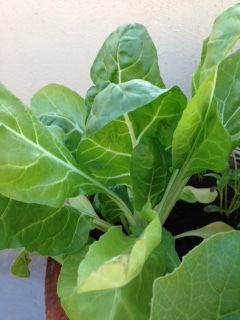 I’m growing organic Swiss chard on my deck in pots. Chard is a fast growing nutritious green vegetable that loves the Baja climate. It grew from seed to harvest in 4 weeks. 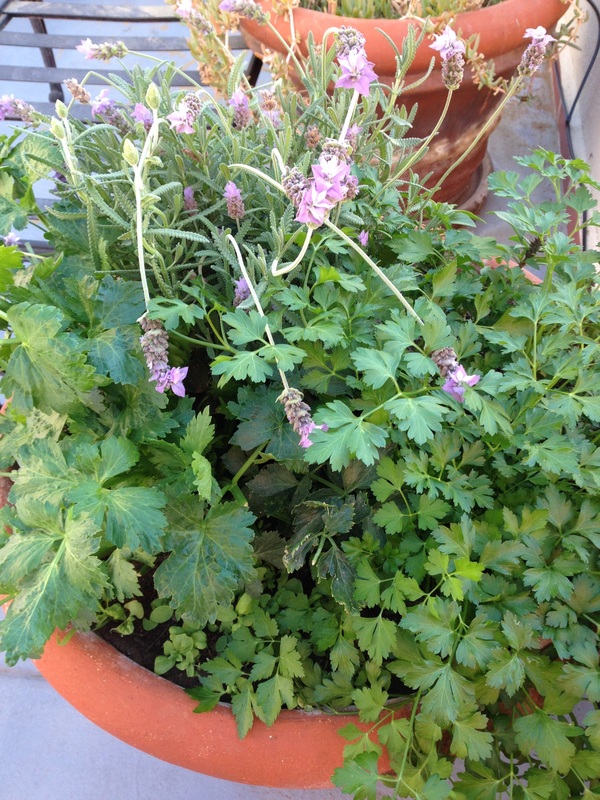 I planted Thai basil, parsley, oregano, chives, arugula, mesclun, two types of mint, rosemary, lovage and lavender. The herbs are always fresh and I know that they are organic. This garden is a definite Baja success. Here’s a simple chowder made with readily available Mexican chorizo (Italian sausage would be a close substitution), potatoes, Swiss chard or spinach, chicken stock and a touch of cream. It’s a spicy re-creation of Zuppa Tuscana Soup. You can substitute any legume for a vegetarian meal but you’ll need to add red pepper and paprika to mimic the chorizo flare. I’m taking my soup to Fiesta Friday where you can find more delicious recipes. Brown chorizo, drain off the majority of grease. Add onion and sauté until opaque. Add chicken stock and potatoes. Boil 15 minutes until potatoes are soft. Add chard and cilantro, return to a boil and reduce to a simmer for 5 minutes. Stir in cream and serve with fresh bread or tortillas. It is so nice to be able to grow vegetables through out the winter here while the snow flies in Nevada. Thank you for stopping by the Baja. I don’t think I could even grow a plant. I have tried flowers before, but they died before I could fully enjoy them. The soup sounds very comforting. Thanks for taking this along with you at Fiesta Friday #164! I’m glad you stumbled onto my food blog. The chard is a success, the zucchini was a flop. 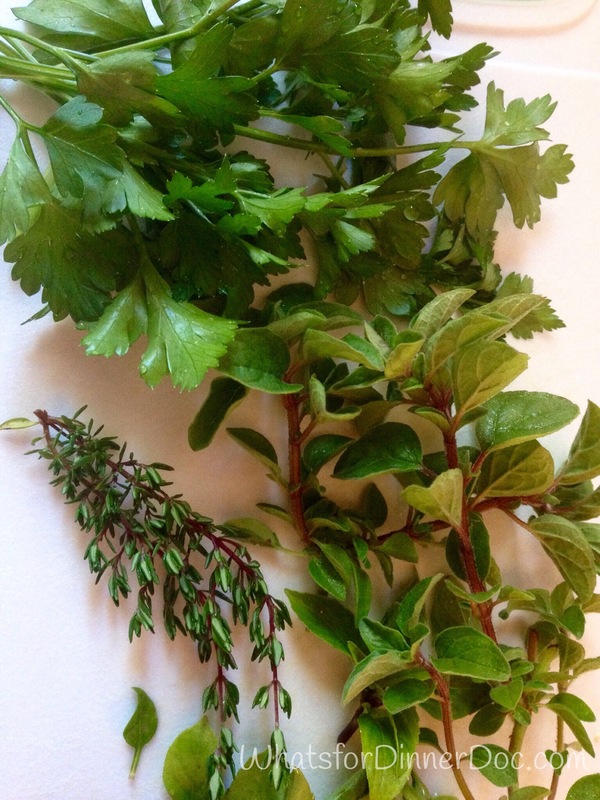 I’m afraid that the summer heat will kill most of my herbs but I will re-plant them in the fall.